"I, and I am sure all of Boston Bike Polo, was humbled by the show of comaraderie from NYC, class from Ottawa and belligerence from RVA." We drove to Boston with twelve players, thirteen bikes, and several cases of RedBull and FOUR. Yeah, it was a wild trip to say the least. Once in Boston, the herd crashed at Phil's old house and awoke to the sweet smell of Dunkin' Donuts. After a quick snack we headed to the court, adjacent to the bay in beautiful Boston, Massachussetts. A few pickup games warmed up the group and then the real competition began. Richmond had five or six teams at the tourney, which meant that sooner or later we'd have to face off against each other. It ended up being team Jennie VS the Steel Horsemen (my team). The RVA rough-housing was crucial as always and my team was able to sneak away with the win. The next battle would be Ottowa. We'd played against Robbie and Alexis in DC, but their third player, Jen, proved to be a formidable goalie. It was a hard fought game, but in the end we fell to the Canucks. After that we faced a Boston team. Perhaps it was because of the recent loss to Ottawa, but for some reason we seemed to fall apart out there. We lost to Boston's "Judas and the Betrayers". At the end of the day we walked away with third place. The polo was great anyway, so we weren't mad for long. 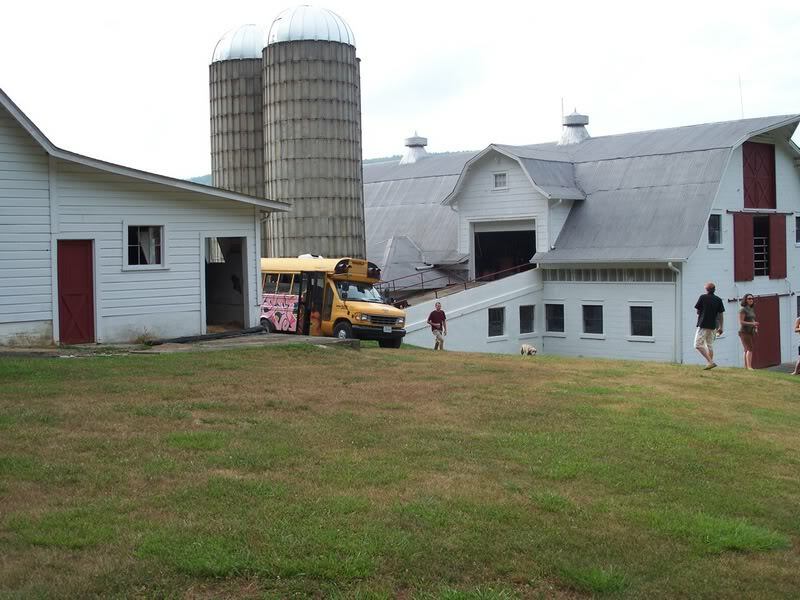 There were many highlights to this trip, but Park's house, I mean, FARM, was epic! He lives on a farm with trails leading from his backyard to Dupont. His "garage" is a barn with stables, many of which are filled with bikes. It's definitely a mountain biker's dream. We headed to Asheville on Friday afternoon ready for adventure. There were six of us aboard, but two would be leaving our crew once in Asheville on a bike tour of the Blue Ridge Parkway (all 469 miles). We arrived at Matt's house that night and hung out for a bit before hitting the hay. The next day we said goodbye to Joey and Tony and got brief trail directions from Matt. We rode the Laurel Mountain Trail near Asheville which was quite a challenge for Eva and Mia. They held their own though, and made it through with a few scrapes. That night we walked to Asheville Pizza and Brewing Company. The beer (Ninja Porter) was great and so was the pizza. A heavy rain set in while we were there, but slowed to a drizzle for our walk home. Lori let us sneak into the pool by her house too, which capped our day perfectly. 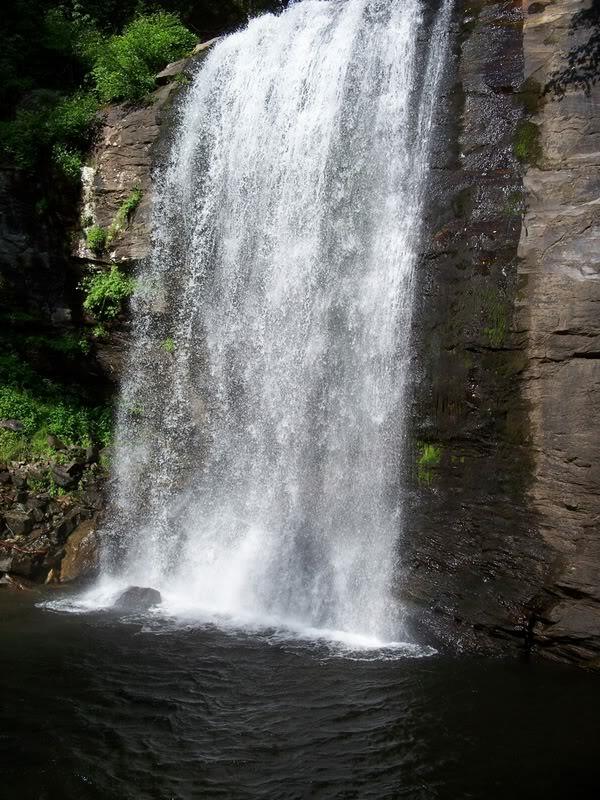 The group unanimously opted for a more relaxed day on Sunday, so we drove to the Parkway in search of waterfalls. We found two. 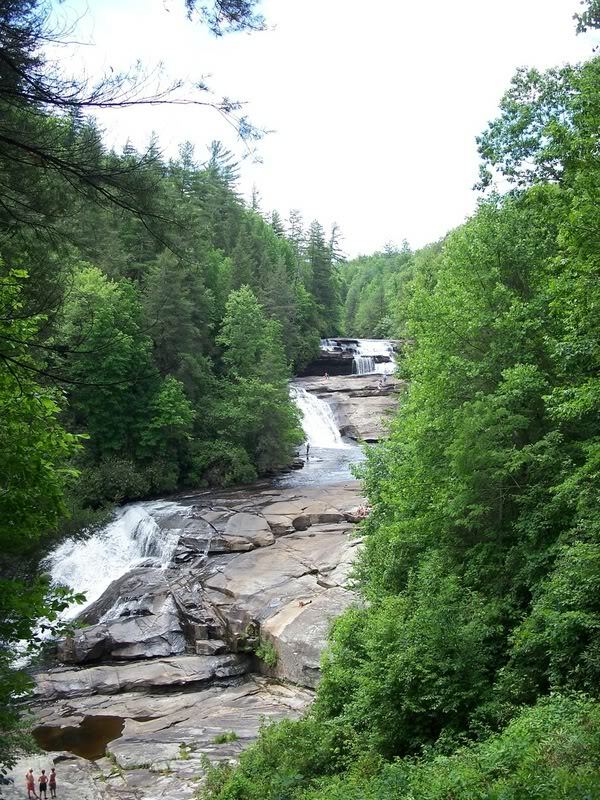 One was a secluded spot with smaller drops and pools. The other was just off the parkway, but it was a warmer, sunnier place which helped fight off the chills after jumping in the brisk water. The final day Joe and I rode with Park while the girls drove to explore more waterfalls nearby. We couldn't snap any photos while riding, but I can assure you that the riding was phenomenal. 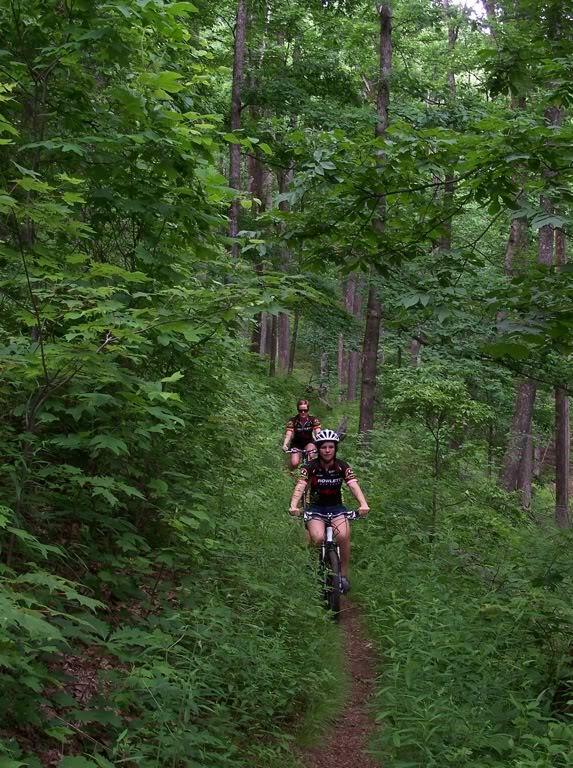 The trails in Dupont are fast, smooth, and flowing. It seems that each corner has a berm or wall ride and the waterbars serve as perfect jumps. We tried to wrap up our ride by 2pm so that we could get on the road. After packing up and saying goodbye we were headed back to Richmond. All four of us agreed that it was a great trip and we hated leaving. The drive back was a blast as usual and Eva took over the driving responsibilities halfway which let me enjoy the party atmosphere in the back of the bus. As usual, it was a GREAT TRIP!